3 ENVIRONMENT It is a factor we can and can not control. 5 ALTITUDE This is height above sea level. This can be a real benefit! 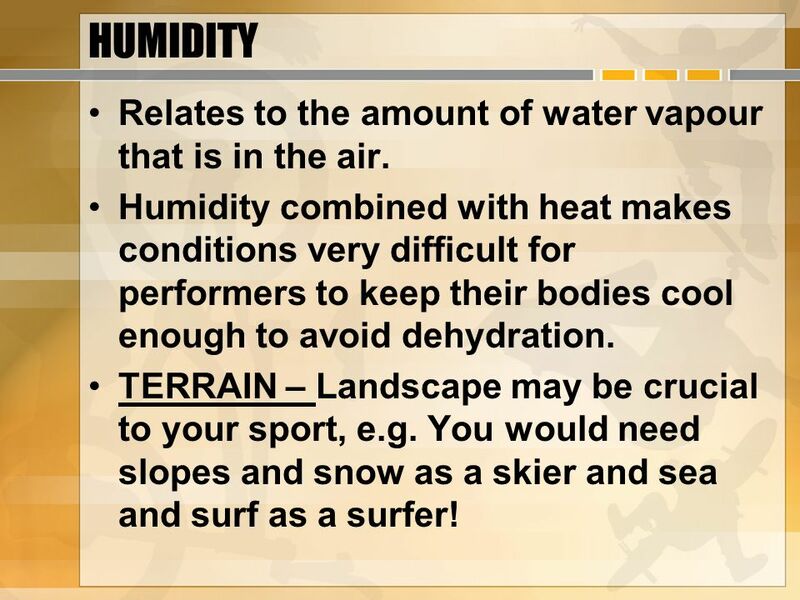 6 HUMIDITY Relates to the amount of water vapour that is in the air. Humidity combined with heat makes conditions very difficult for performers to keep their bodies cool enough to avoid dehydration. 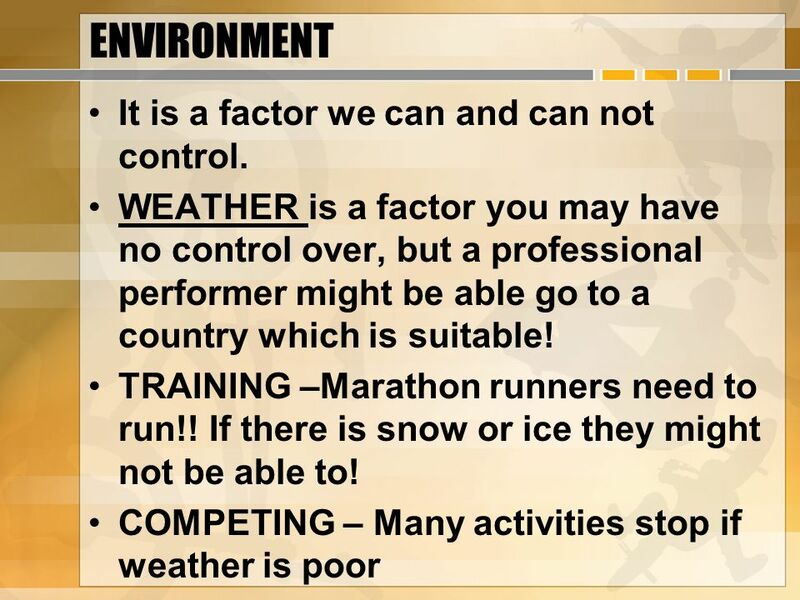 TERRAIN – Landscape may be crucial to your sport, e.g. You would need slopes and snow as a skier and sea and surf as a surfer! 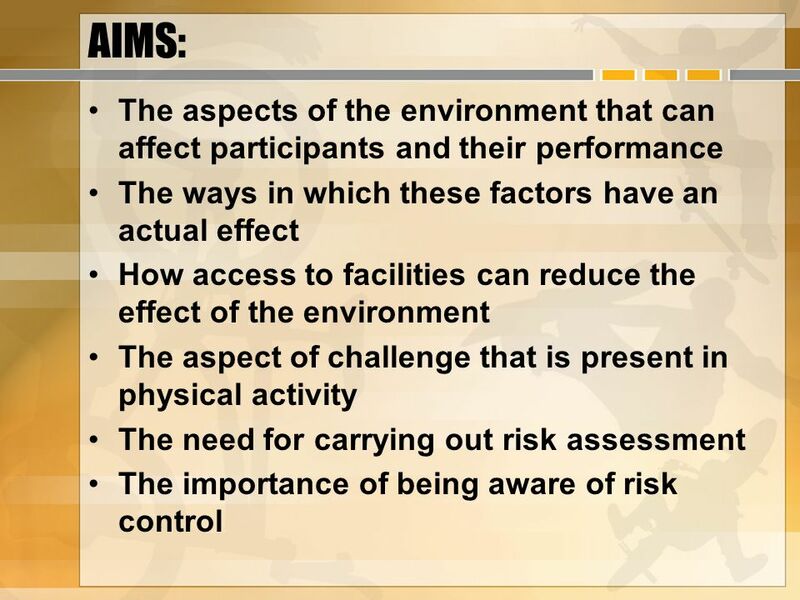 Download ppt "The Participant as an Individual: Environment, Risk and Challenge"
KEY VOCABULARY altitude climate climatologist landform latitude ocean current. Chapter 4: How Much Is Enough? 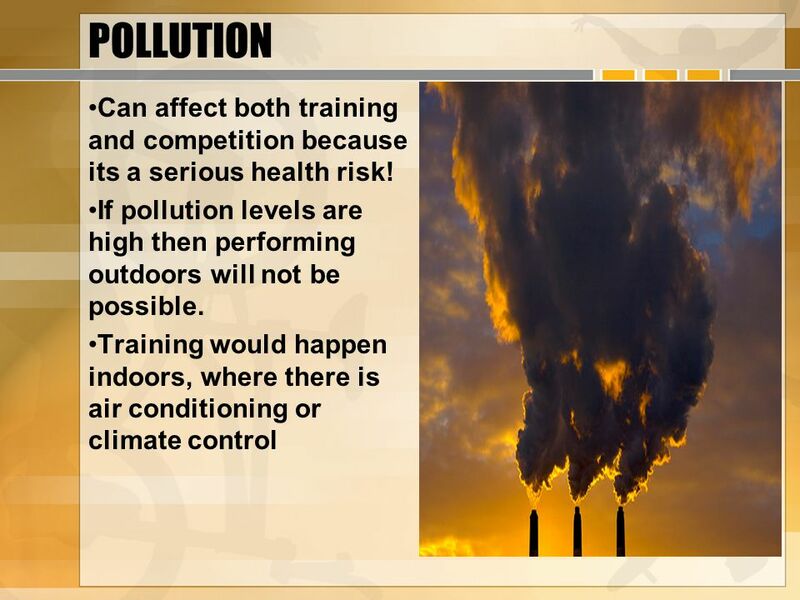 Heat Related Conditions Environmental Concerns Sports Medicine I. What causes the seasons to occur? OCEAN CURRENTS AND WEATHER. Oceans currents are created by: surface wind, corliolis effect, land shape, and salt content and temperature of the water. Biomes Section #1: What is a Biome?. Biomes of the World. SC.D CS The student knows that the water cycle is influenced by temperature, pressure, and the topography of the land. Content Limits: Items will. NON-RENEWABLE POWER RESOURCES: Fossil fuels. Non-renewable Power Resources  Most important power resources in the world at present  Heavy reliance on. 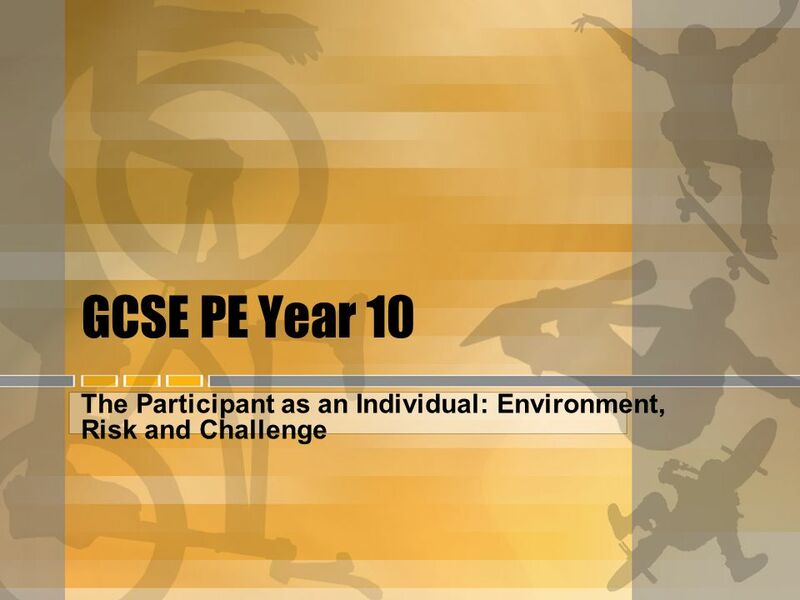 Chapter 9 Physical Activity and Fitness Lesson 4 Sports Conditioning and Avoiding Injury >> Main Menu Next >> >> Chapter 9 Assessment Click for: Teacher’s. Present Climate Change – Inquiry Labs Lesson Global Precipitation Measurement Mission Developed by the GPM Education Team NASA Goddard Space Flight Center. 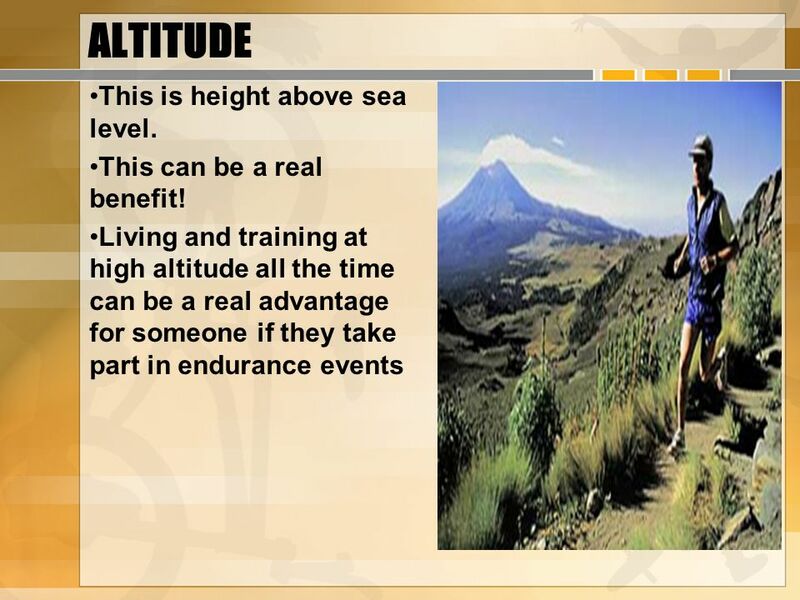  Normally, air temperature decreases with increasing altitude, resulting in cooler air on top of warmer air. The Environment. How many Q’s can you get correct? ? Read the questions carefully Write your answer on the white board Turn your board around when instructed. Module 5 Review the earth: systems working together! Water in the Atmosphere. States of Matter Water vapor – gaseous form (0 to 4% by volume) Water – rain, dew, clouds, fog Ice – snow, hail, clouds.